Several years ago I made a resolution not to buy any more plain T-shirts. 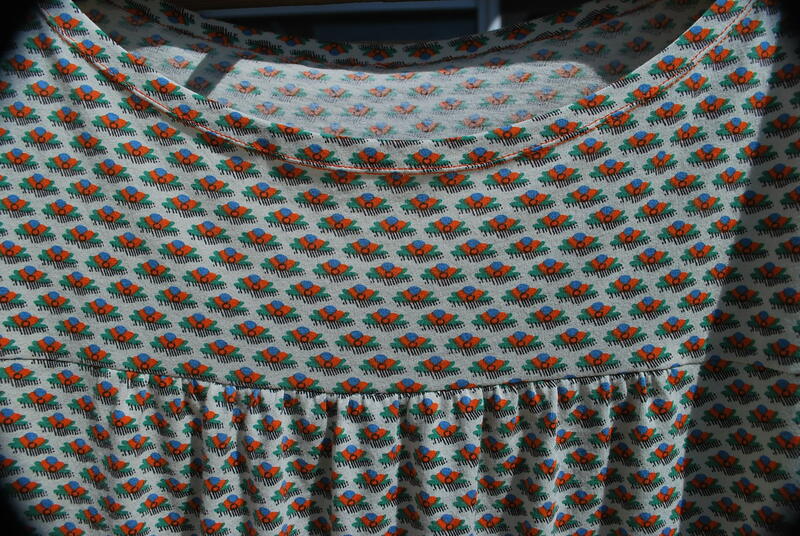 My casual tops must either have a print or interesting design feature. I did this to keep myself from being too boring. 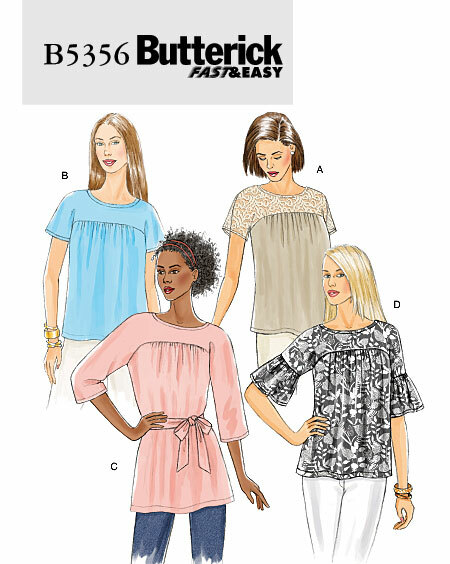 These tops however must be as comfortable and easy to wear as a T-shirt. Fresh Make #5 falls into this category. You can never have too many cute grab-and-go tops. 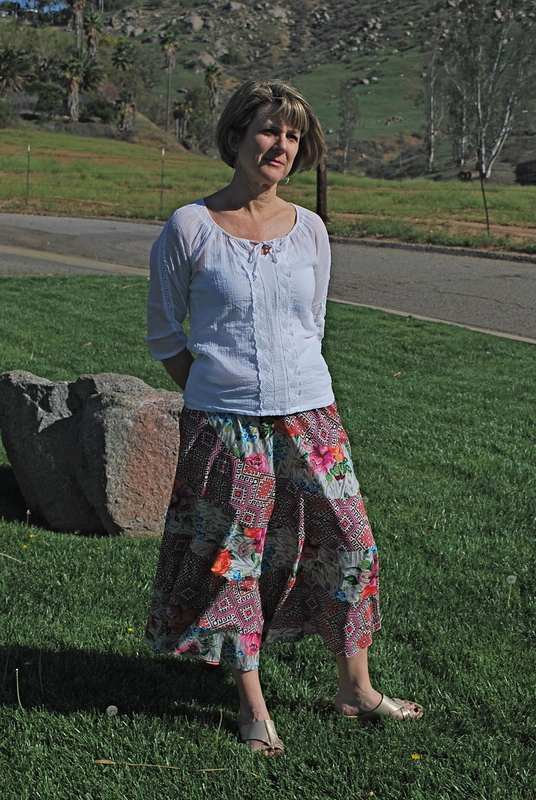 The Pattern I used is Butterick 5356 which I purchased at JoAnn’s for $1.40 as part of a 5 Butterick patterns for $7 sale. 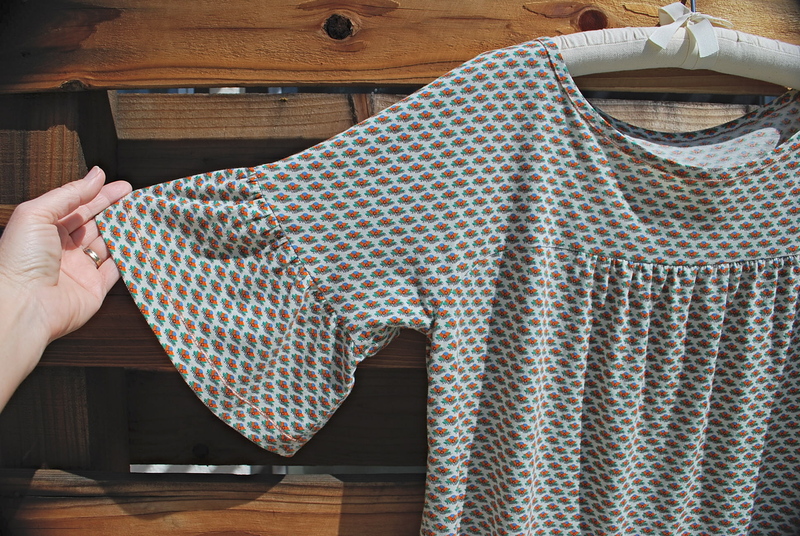 I have named the pattern The Instead Top because you can grab it instead of a T-shirt. 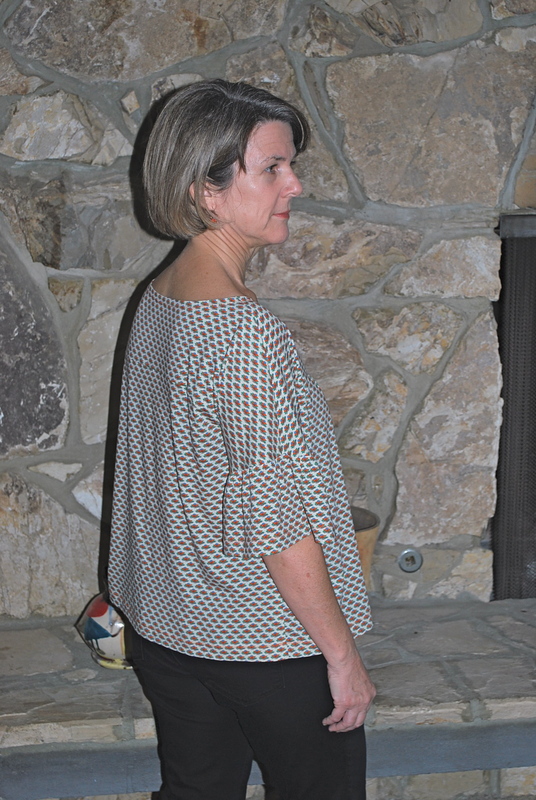 What attracted me to this pattern was the loose fit and the peplum style sleeves on view D. I love a loose fitting top because it’s flattering and forgiving to whatever you got going on underneath! 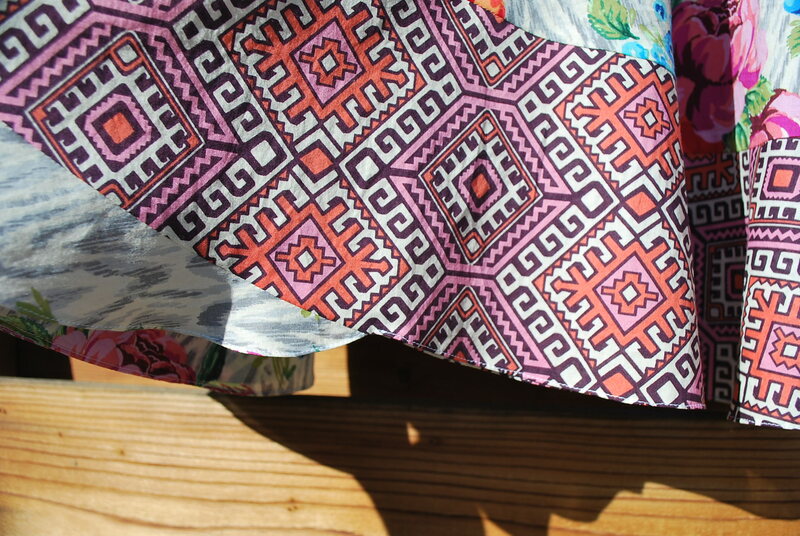 I purchased the fabric at The Fabric Store on La Brea Avenue in Los Angeles. I was thrilled when I learned of the opening of this shop, a new location, and first in the U.S., for this Austrailian company. I didn’t know what to expect and was not disappointed to when I found a beautiful selection of high quality natural fiber textiles at reasonable prices. 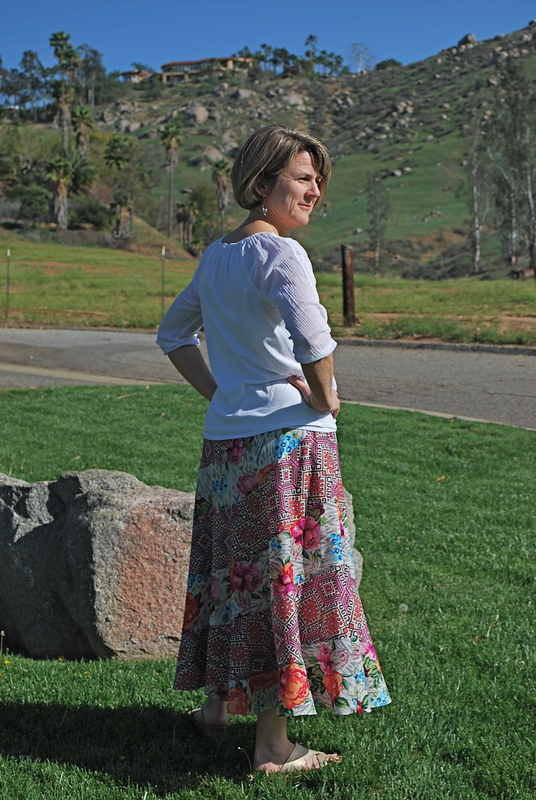 I bought 1 1/4 yard of cotton knit at $12 per yard for this project. 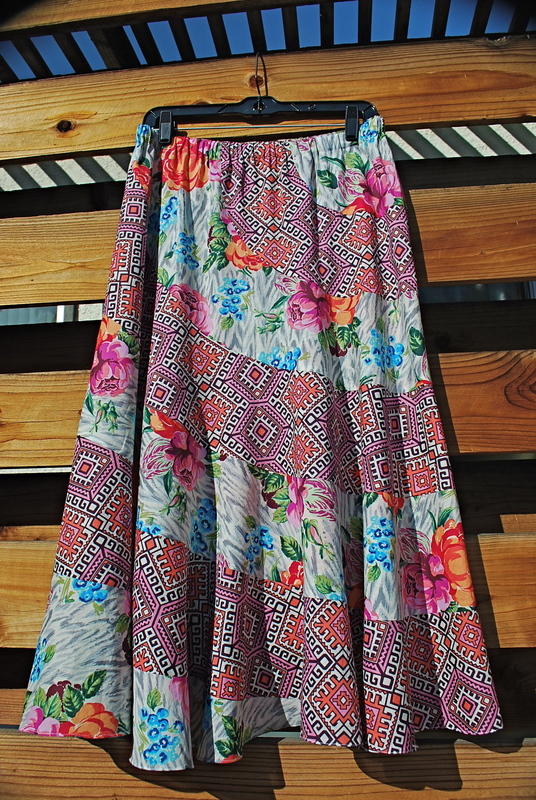 The feel of this fabric is smooth and soft, very light weight and luxorous for a cotton knit. 1. 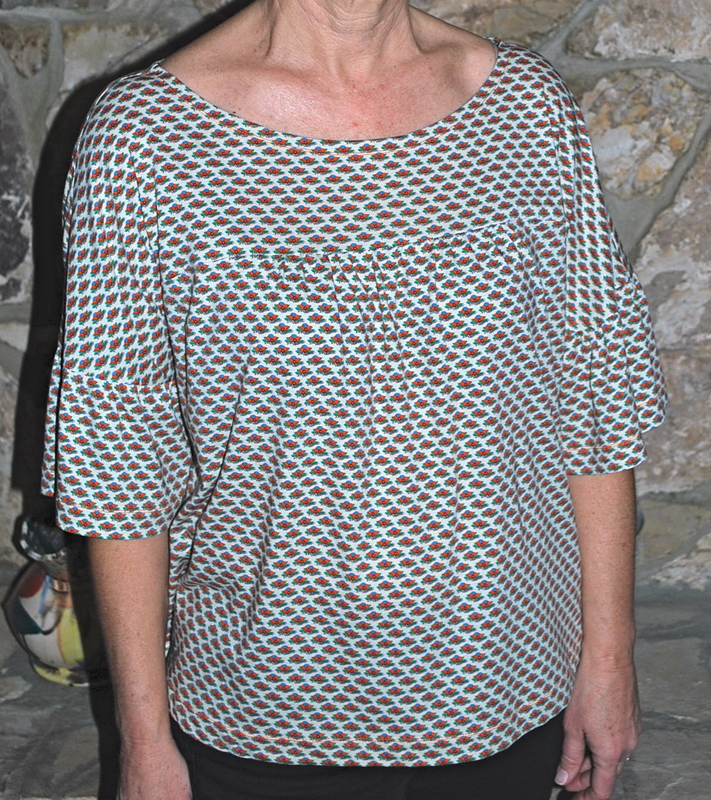 This pattern is labeled “FAST & EASY.” While the pattern does avoid a set-in sleeve, it is a “knits only” pattern, has gathers, and a curved seam. None of these features should be a deal breaker, but would be best done with some guidance for a beginning sewist who has yet to do these techniques. 2. 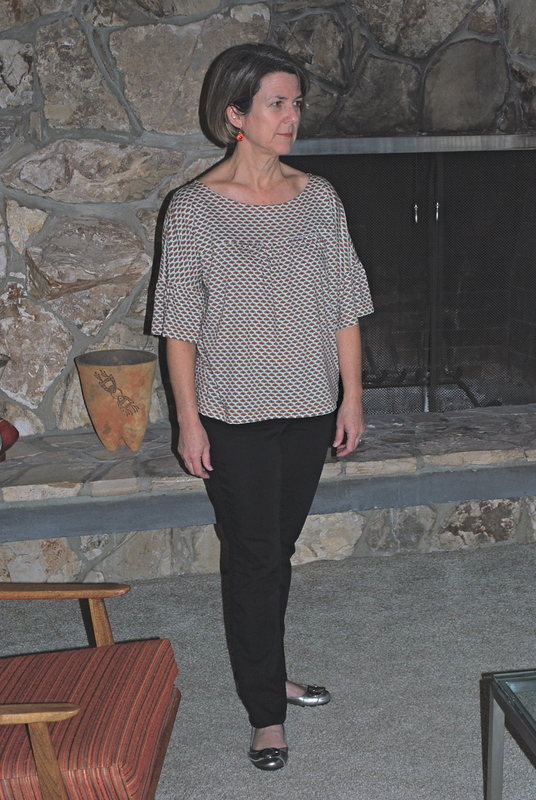 I thought size wouldn’t matter too much – because it was a loose fitting top. I cut a medium (12-14), and I should have cut a small (8-10). I still have trouble wrapping my head around the fact that there is a large difference in numbers between my bottom and top half. I did not like how the sleeve hung on me after attaching the ruffle, so I decided to take it off, take in the seam in the underarm area about an inch, and then re-attach. 3. 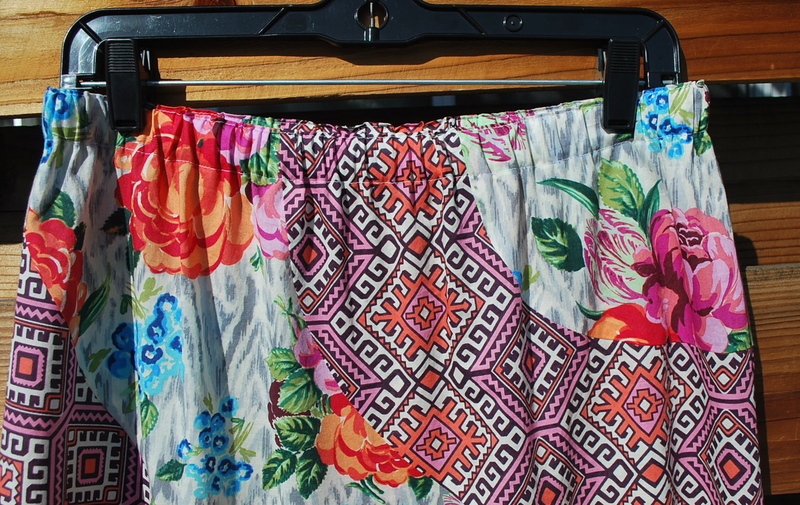 This fabric was 54″ instead of 60″. 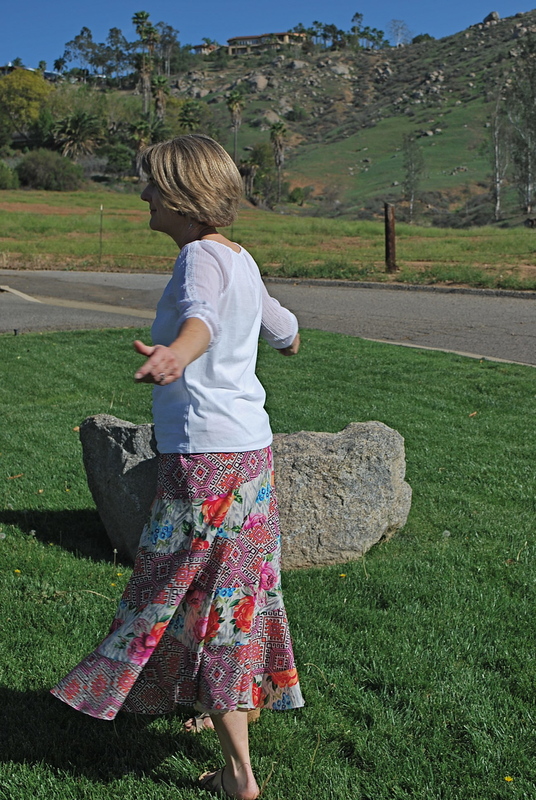 The patterns always give yardage amounts for 60″ and usually if the fabric is a bit narrower it doesn’t matter. In this case I was unable to fit the full length of the sleeve ruffle pattern piece on the fabric and had to settle for a ruffle that was less full. I would have liked the 3 or 4 inches I had to leave off the diameter of the ruffle. 4. Don’t cut yourself in half at your widest part. 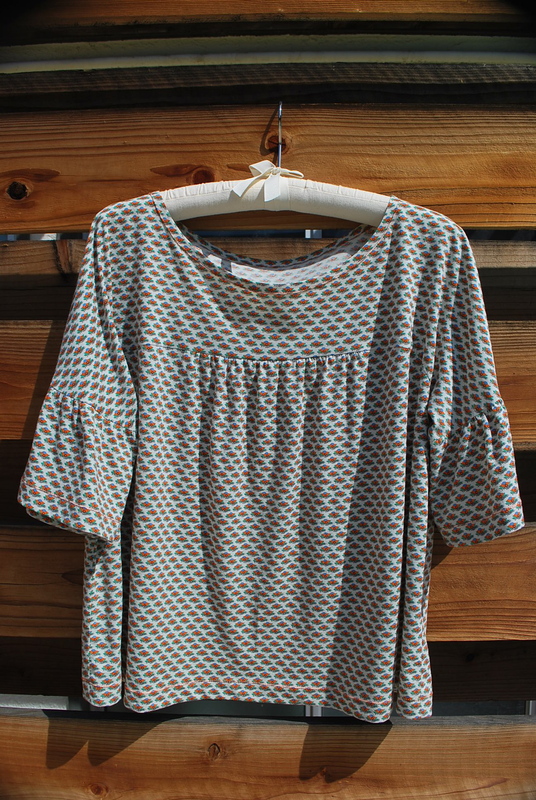 One of the beauties of making your own clothes in you can adjust them to flatter you the best way possible. 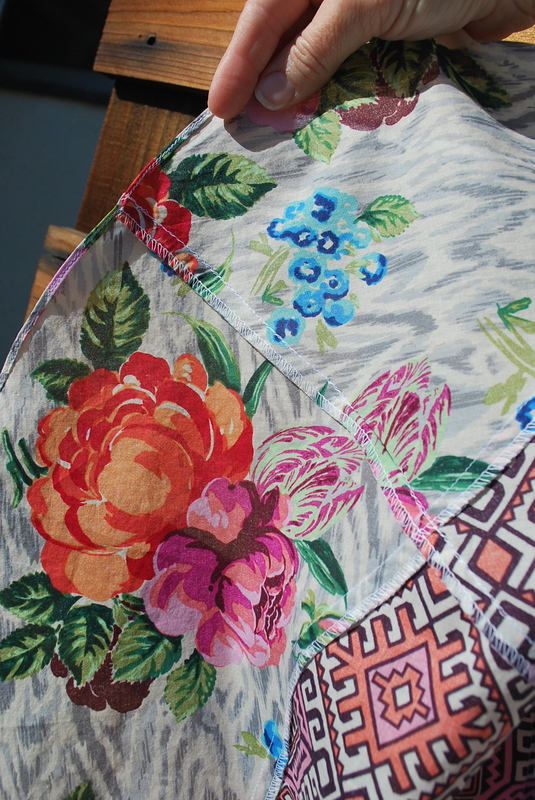 I turned the hem up 4″ instead of the 1 1/4″ allowed on the pattern. My widest part is my thighs and my legs are relately short, so I like my tops to end somewhere around the upper part of my hips. Overall I am happy with my Instead top. However, if I were to make it again, I think I would make a size Small.